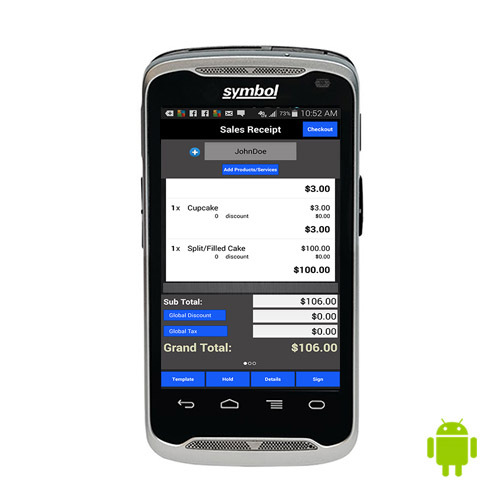 The first hybrid cash drawer and printer all-in-one solution that combines elegant and compact design, turning Android tablets and handheld devices into complete POS solutions. 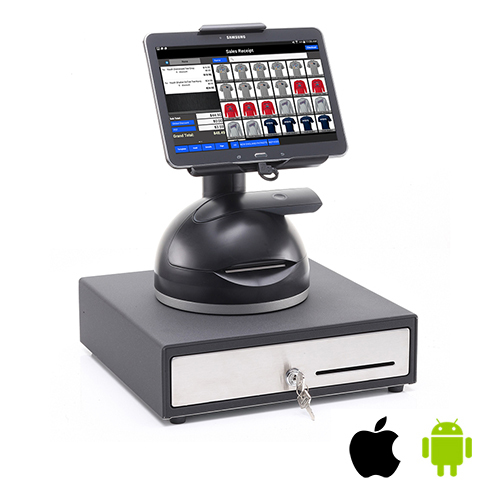 Use as a kiosk system for self service checkout or use as a regular manned checkout station. 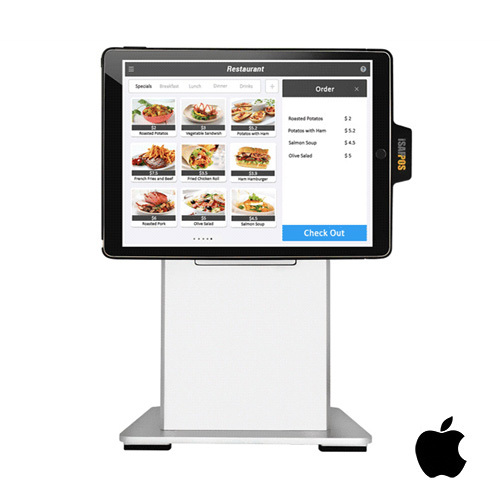 Ideal in retail and food service with limited counter space. 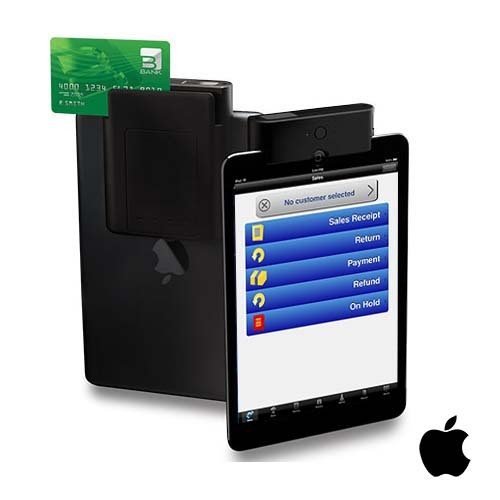 Sleek, modern design with the peripherals built in, PayPoint mPOS has a small footprint and is built to last. 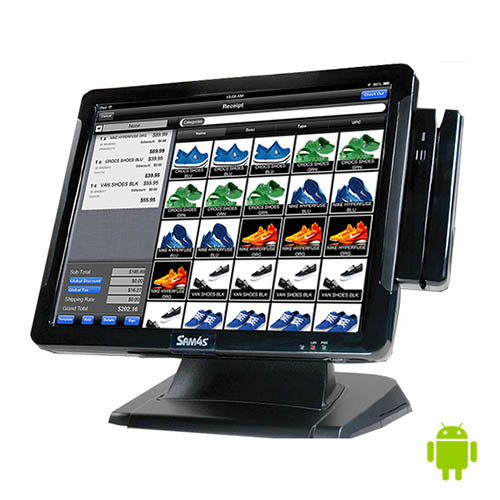 Android 15" touch terminal with a built-in card reader for countertop POS . 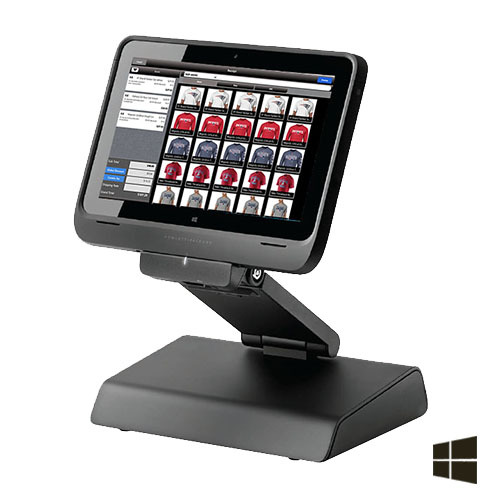 Compact and elegant all-in-one universal tablet stand with built-in printer and bar code reader. 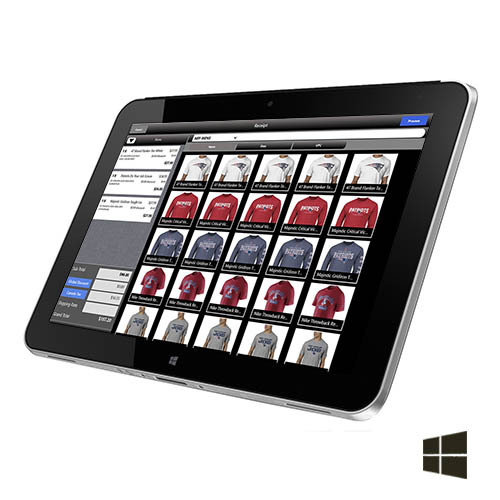 This 10.1 inch tablet, running Windows has a complete eco system of peripherals that allow merchants to build a complete POS solution for both mobile and countertop POS. 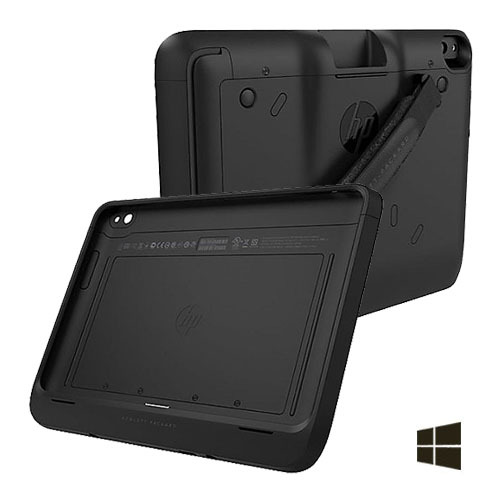 Adds a credit card reader and bar code reader to the HP ElitePad, turning into a full-feature mobile POS device. Go from mobile to stationary and back again in a snap. 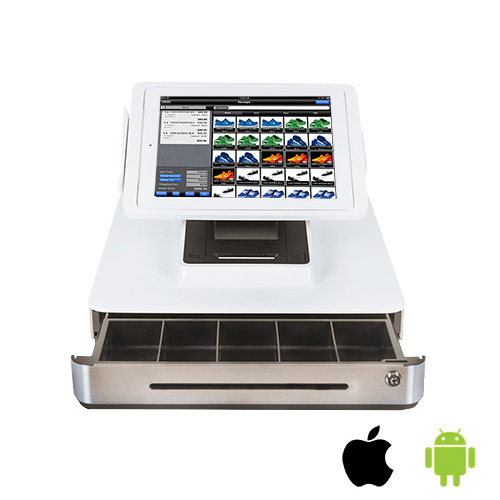 Just dock the tablet and plug in all the POS peripherals to the dock. 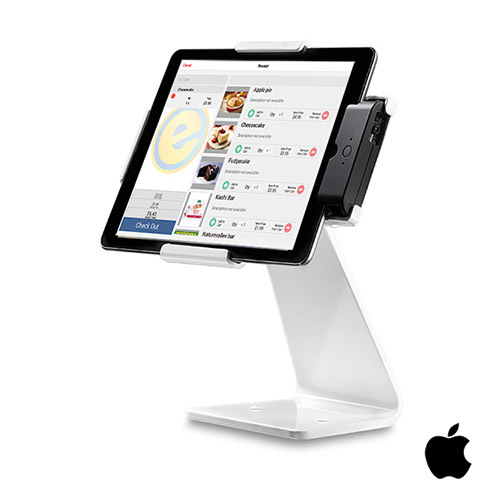 Enclosure and mount combination turns the Apple iPad into countertop POS with quick release for mobile use. 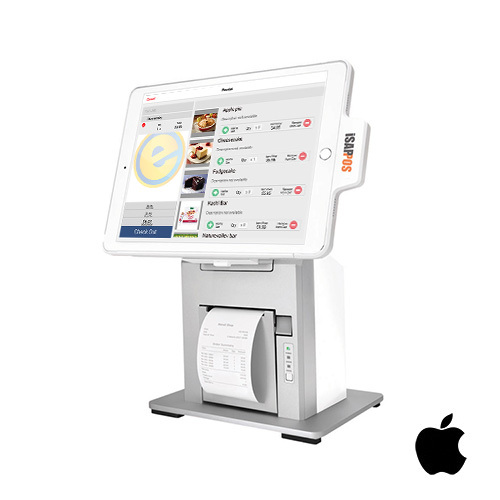 This elegantly designed stand turns tablets into full-feature POS devices. The stand is available for the Apple iPad and iPad Mini, and the Samsung Galaxy Tab. 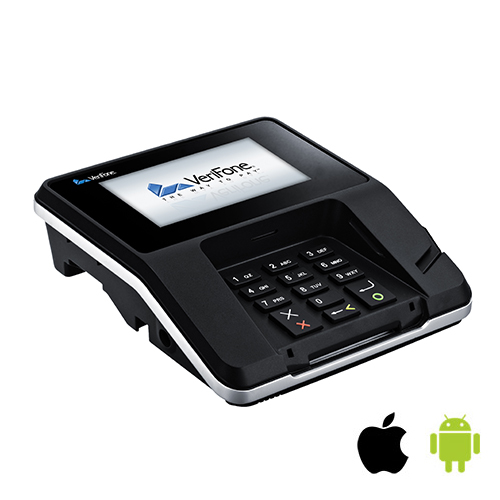 NFC-enabled countertop payment terminal with EMV chip and PIN capability and multi-media support for an interactive customer experience. 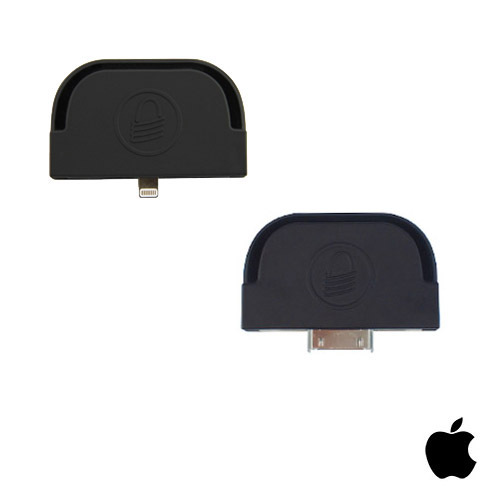 Add NFC capability and chip and PIN payments with this compact and elegantly designed device for iPad mini. 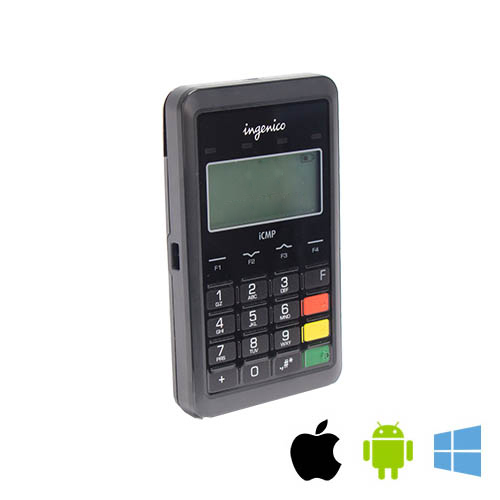 Lightweight payment device with support for EMV Chip & PIN, magstripe, and contactless payments. 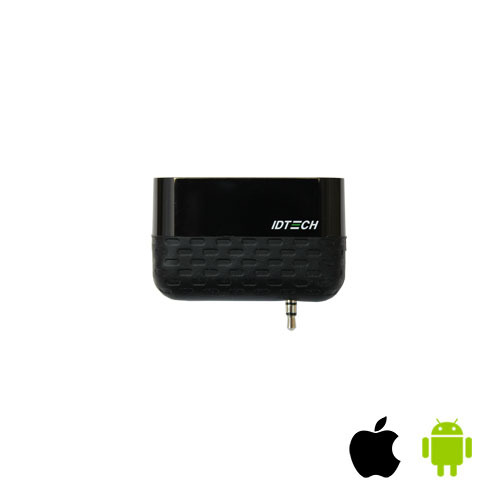 It can be paired with any Android, iOS, or Windows tablet or handheld device. 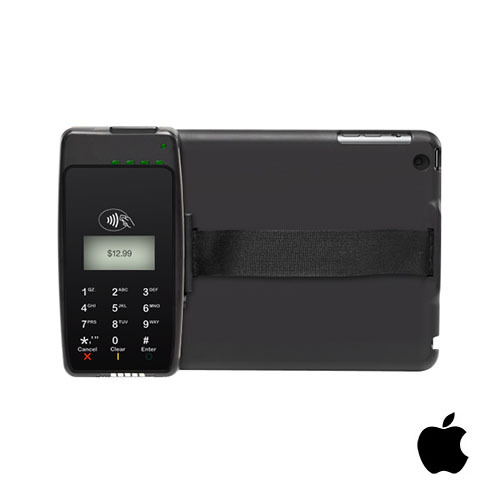 Ultra portable EMV compatible chip and PIN reader with MSR and optional NFC capability. 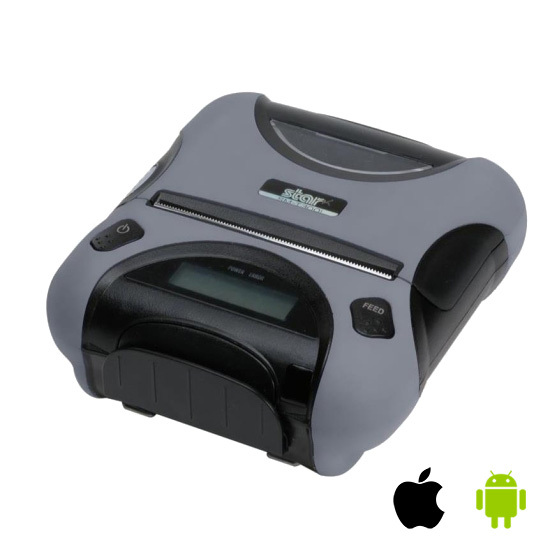 Sled for iPhone and iPod touch with EMV compatible chip and pin reader with MSR and built-in bar code reader. 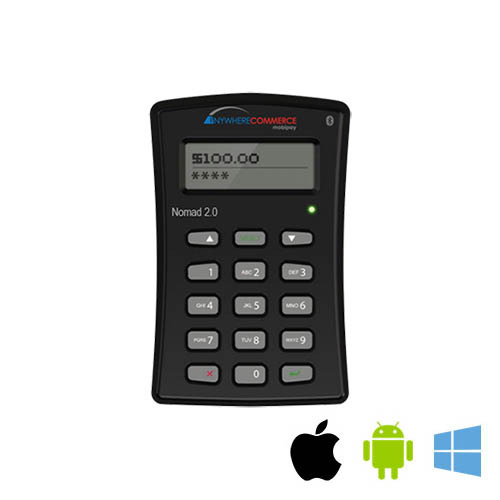 Nomad™ 2.0 features both chip & PIN and magstripe PCI PTS 3.1, EMV L1, L2 and Visa ready approved card readers for tablets and handheld devices. 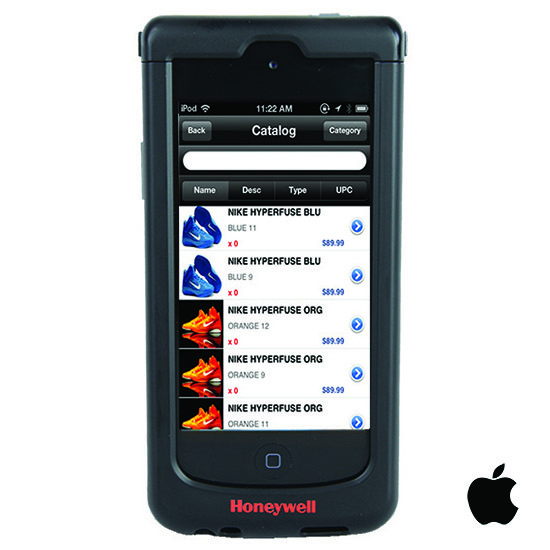 Rugged sleds for the 4th generation iPod touch and iPhone 5 and 5s provide extra durability and high performance bar code scanning and anywhere payments with the built in MSR. 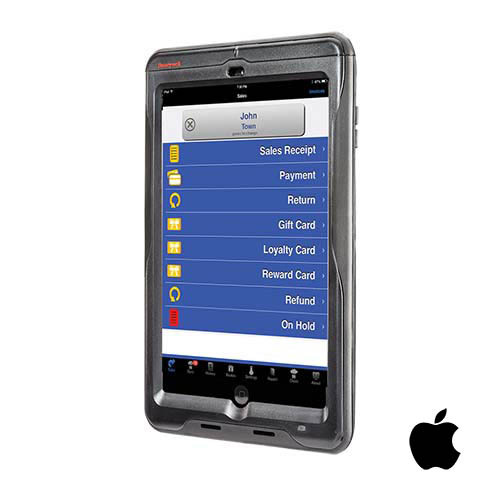 Rugged, ergonomic enclosure for iPad mini that adds a bar code reader and magnetic stripe reader. 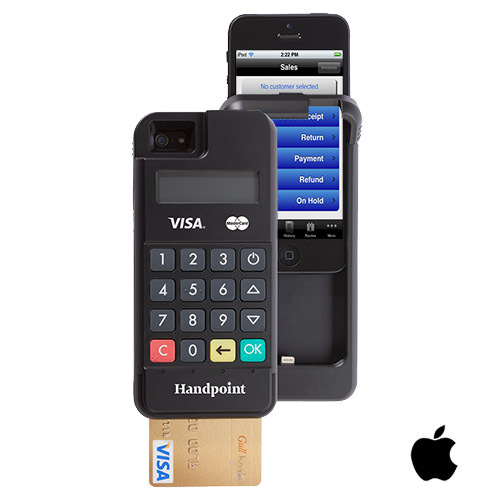 The latest generation mPOS sled for iPhone 6 and 6S with support for magnetic stripe cards and contactless payments. 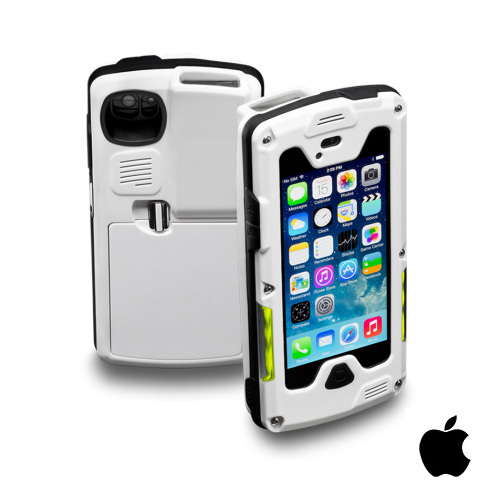 A fully rugged sled for the iPhone and iPod touch with a built-in MSR, barcode scanner, and RFID reader for contactless payments. 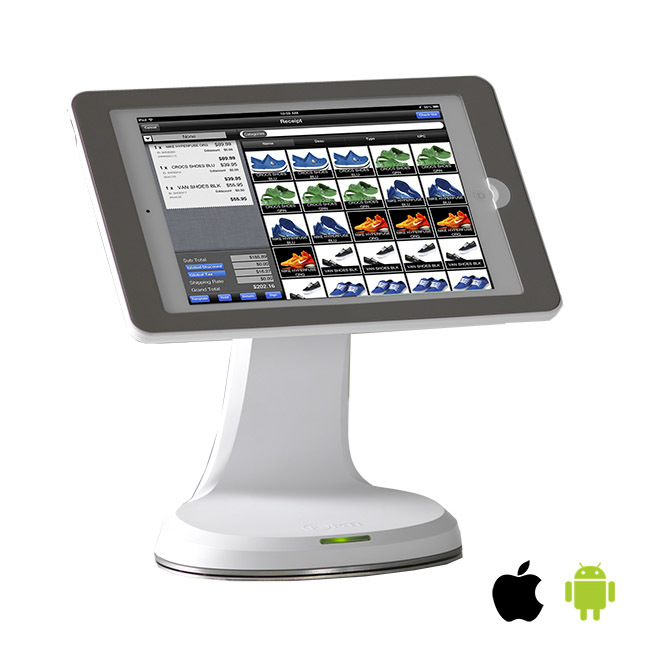 Quickly turns the iPad into a professional retail POS that is ideal for use in kiosk self-serve applications. Sleek, modern design matches the iPad's look and feel. 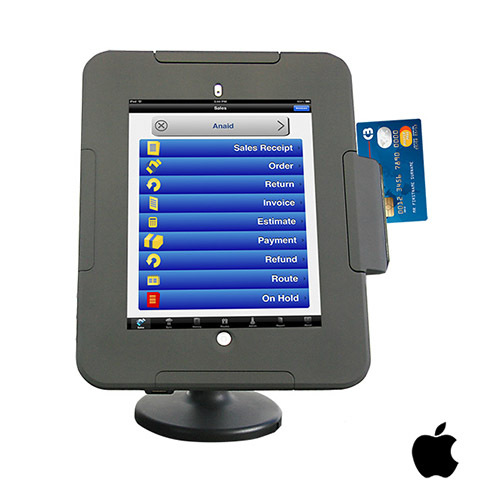 Sleek iPad POS stand with convenient, customer friendly flip-over design. 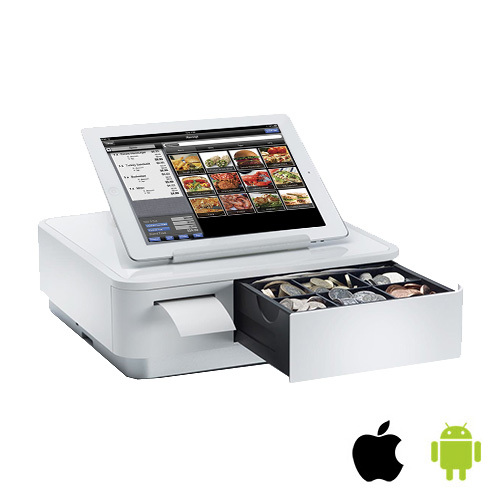 Can be used both as countertop POS in the stand or for mobile applications. 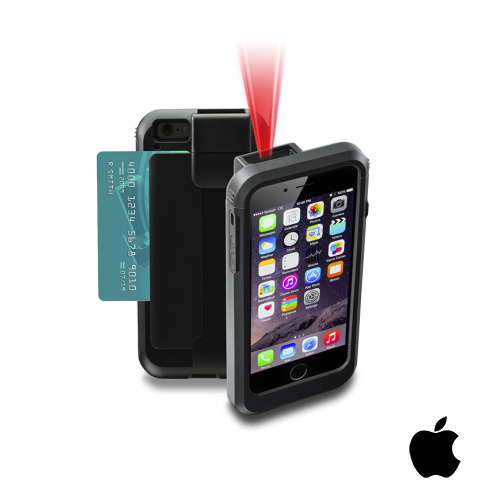 Protective sled with NFC reader, MSR and bar code reader for iPad Air and iPad mini. 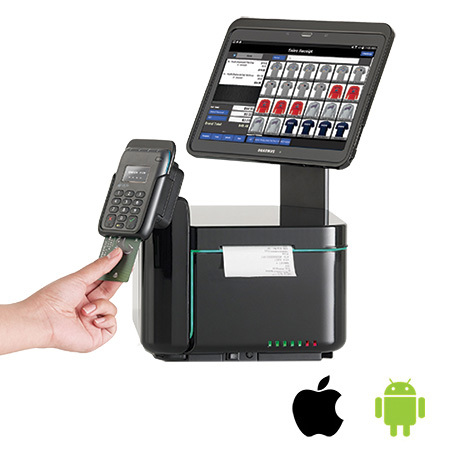 Firmly secures the iPad mini and iPad Air for POS or kiosk self-service applications. 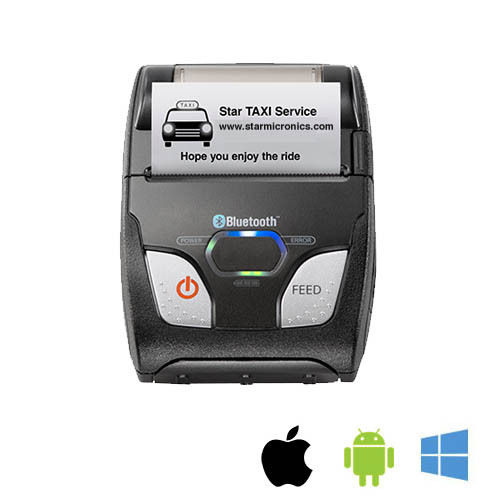 Add the capability to efficiently scan barcodes and read magnetic stripe cards, NFC, and RFID data. 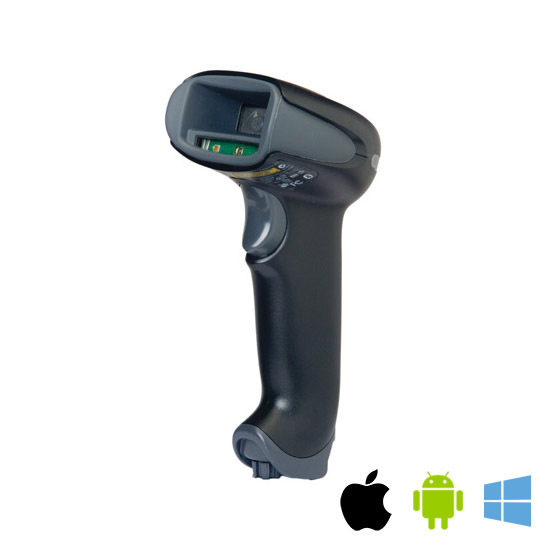 Wireless handheld barcode scanner featuring area-imaging technology and Bluetooth wireless connectivity. 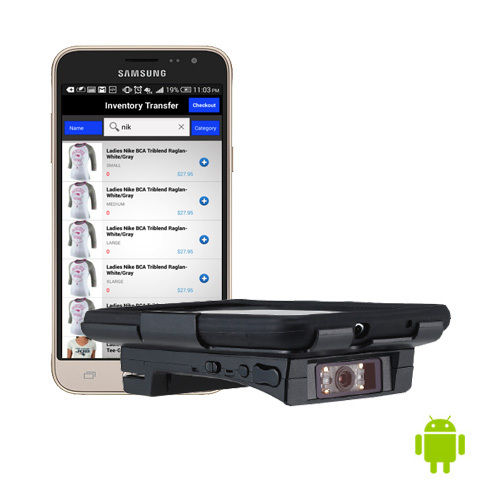 Scan barcodes in a snap with this cordless 1D/2D barcode scanner that communicates with a tablet or smartphone via Bluetooth. 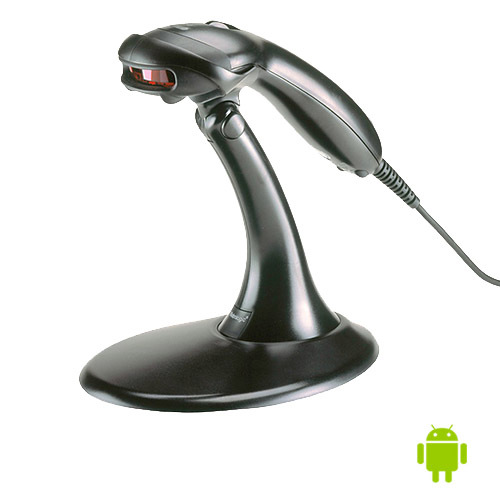 Corded single-line laser scanner that can be used as a handheld scanner or as a presentation scanner mounted in a stand. 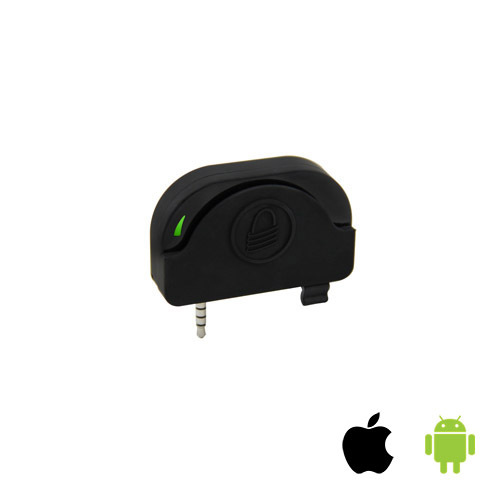 Bi-directional credit card reader that inserts into the audio jack of the iOS or Android smartphone or tablet. 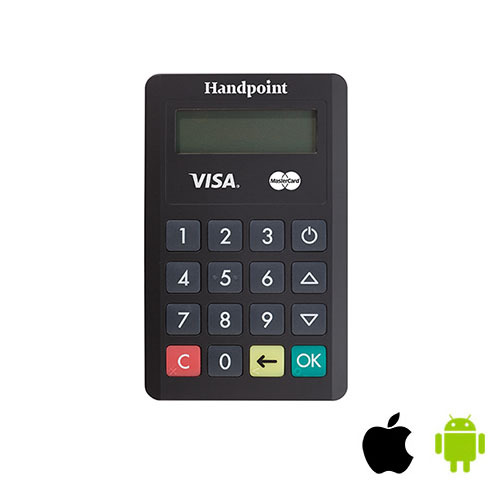 A secure card reader authenticator with Apple 30-PIN and lightning interface options. The Shuttle is a two-track, encryption capable MSR that connects to devices through the headphone jack. 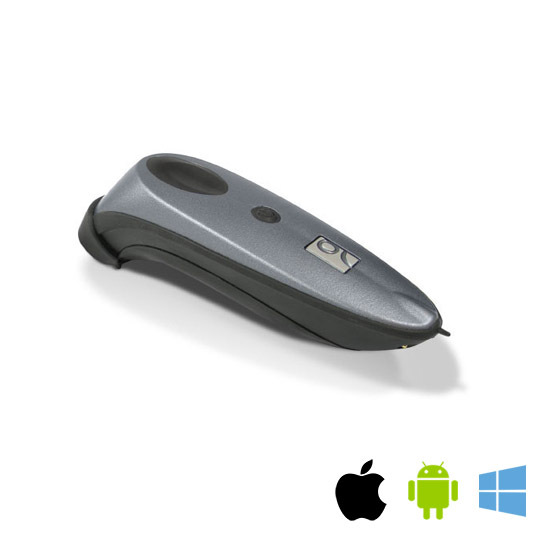 Pocket-sized mobile computer that combines rich enterprise features with smartphone usability and form factor. 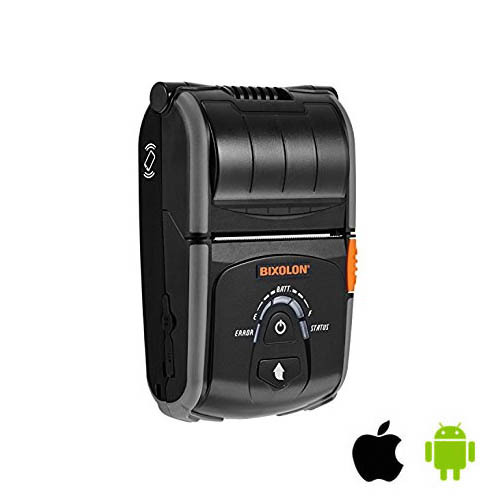 Compact, lightweight, high speed two-inch Bluetooth and USB portable printer, compatible with all operating systems including Windows, Android, and iOS. 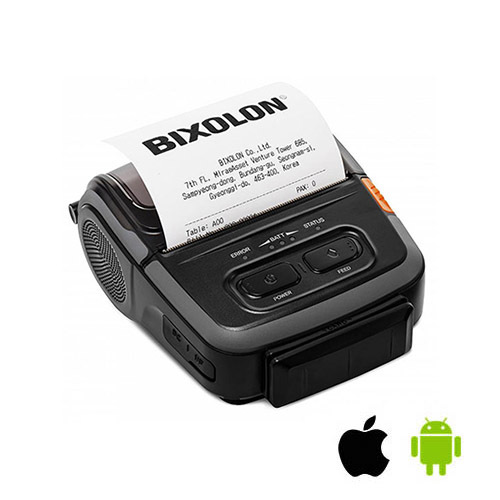 Three inch rugged mobile Bluetooth receipt printer for Apple iOS, Android and other mobile platforms.  The rugged 4 inch printer with an optional MSR is an ideal fit in many field applications. 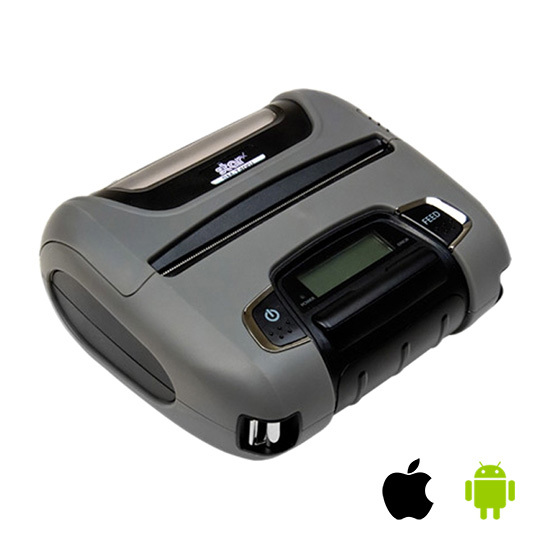 Lightweight 2-inch mobile printer for wireless printing from both iOS and Android devices. 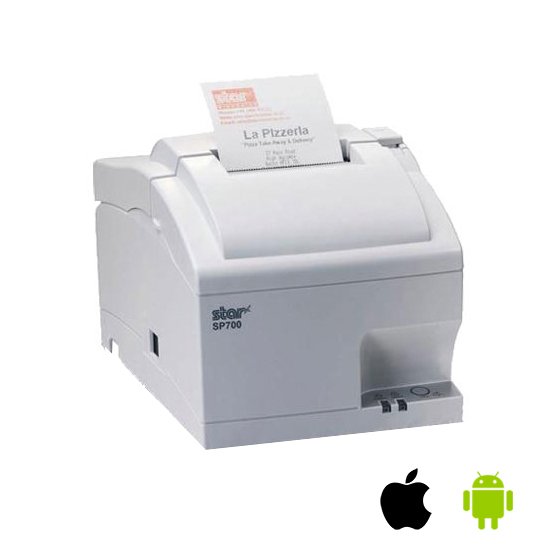 Lightweight and rugged 3-inch mobile printer for wireless printing from both iOS and Android devices. 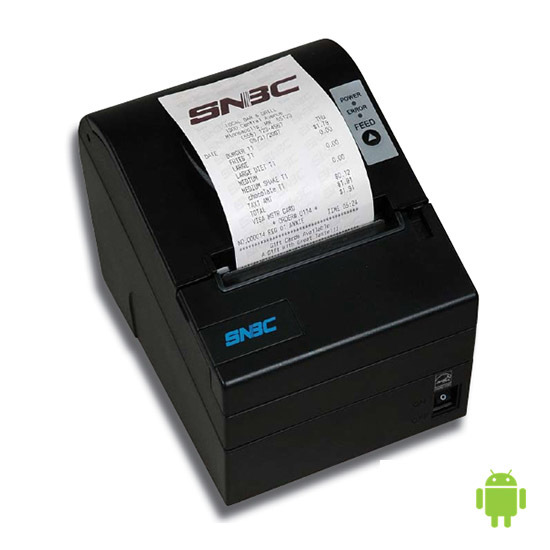 Good value thermal printer for POS applications in retail and hospitality. Ideal kitchen printer with small foot print that performs well where heat and humidity can otherwise erode the type on the kitchen order. 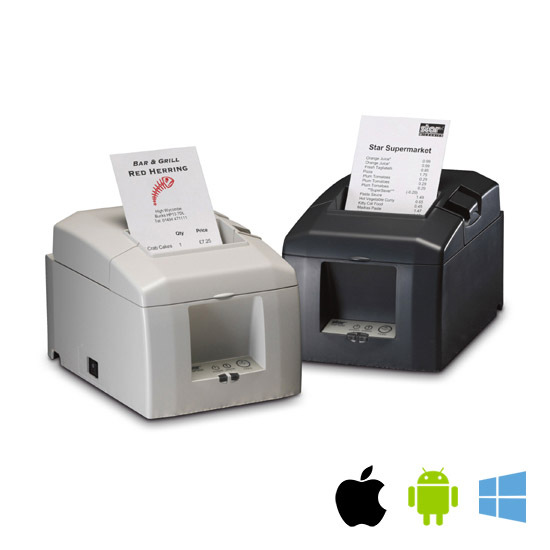 These counter top printers are ideal for high performance printing of receipts and tickets in retail and hospitality environments. 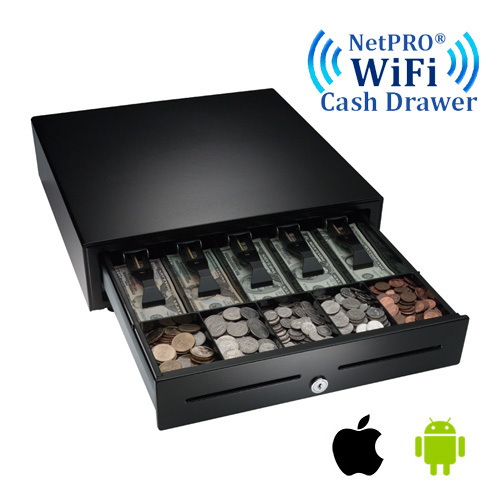 The cash drawer communicates wirelessly and is automatically controlled from a mobile POS with the eMobilePOS app running.